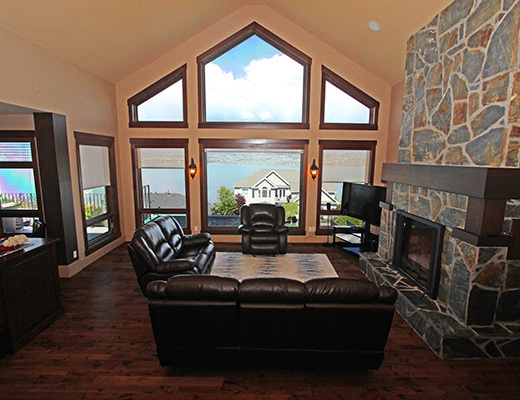 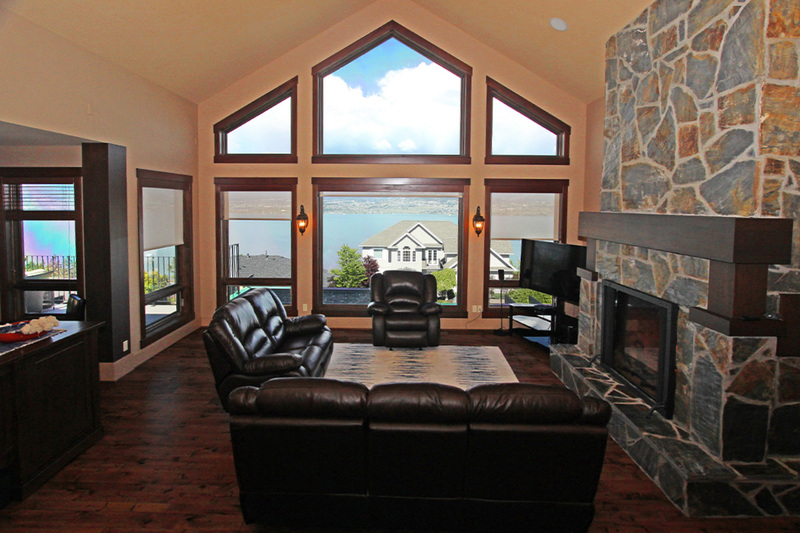 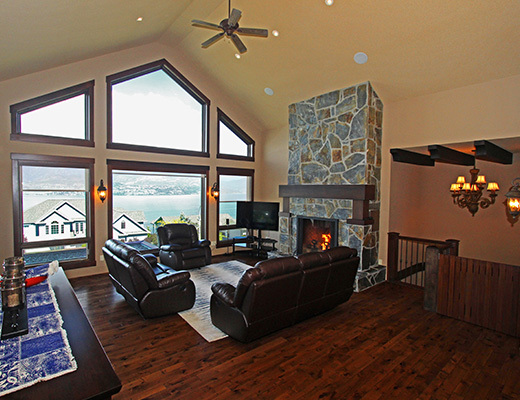 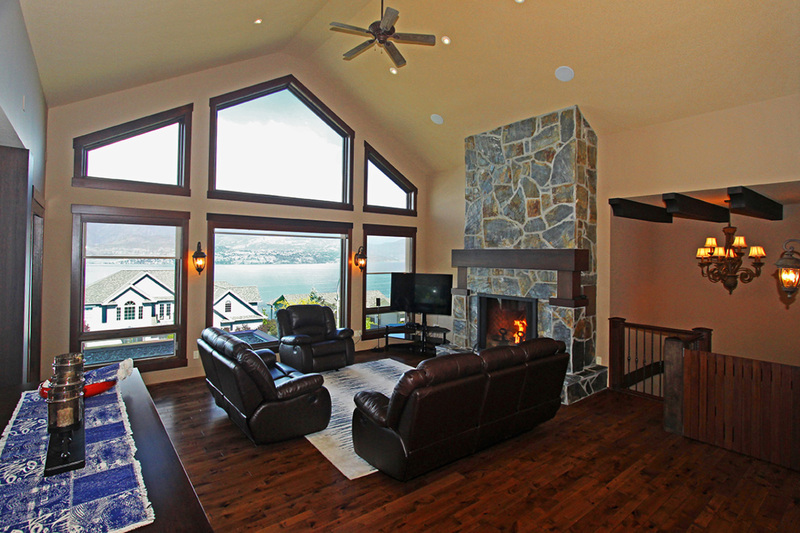 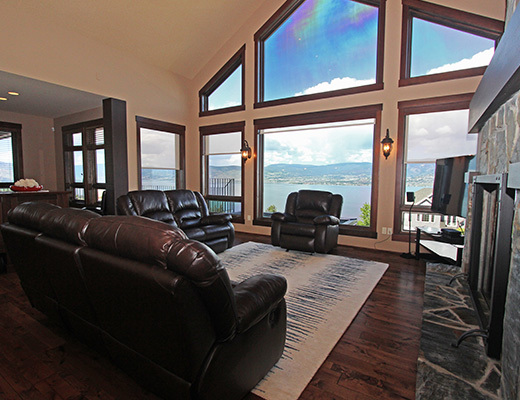 Enjoy a deluxe vacation experience in this custom built home, which features magnificent non-stop lake views from a massive deck area, designer kitchen and the 20 ft vaulted living room. 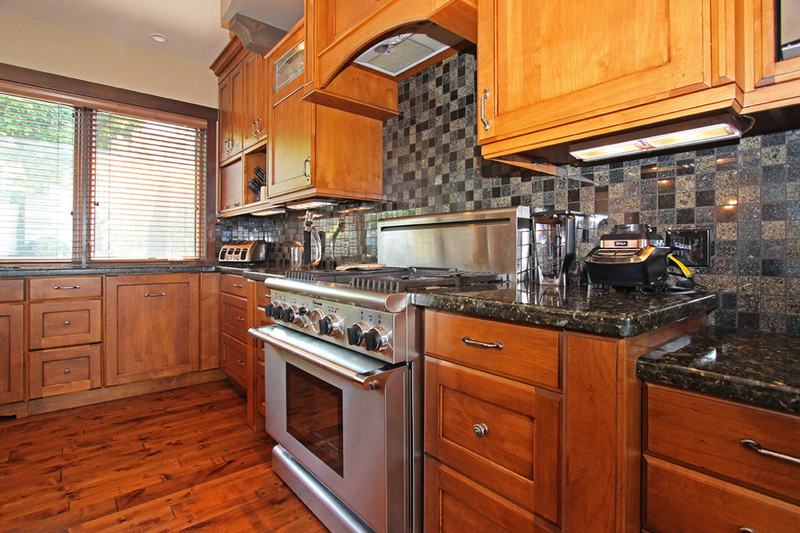 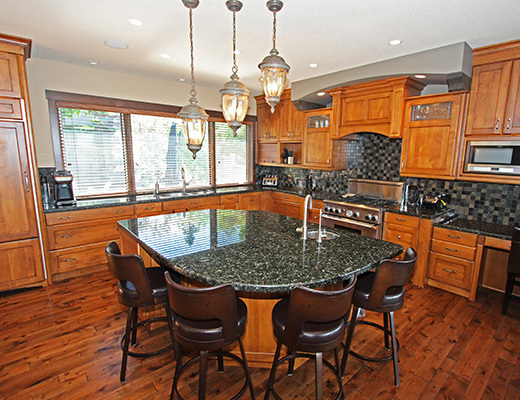 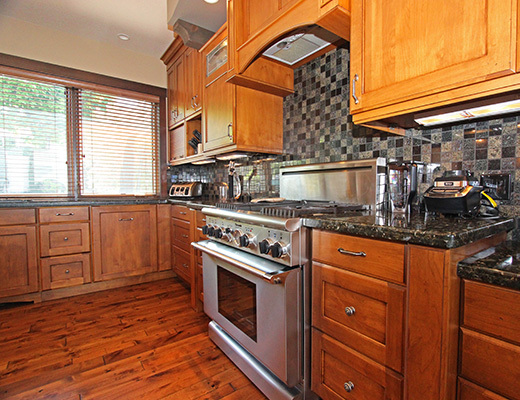 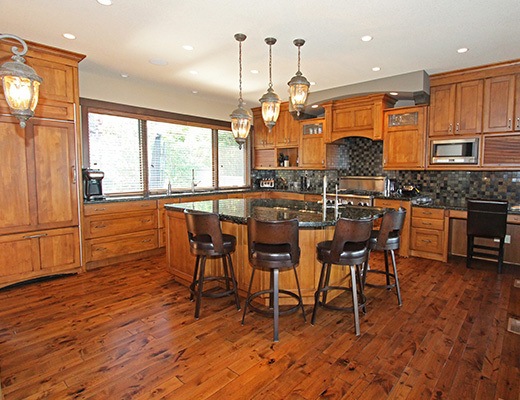 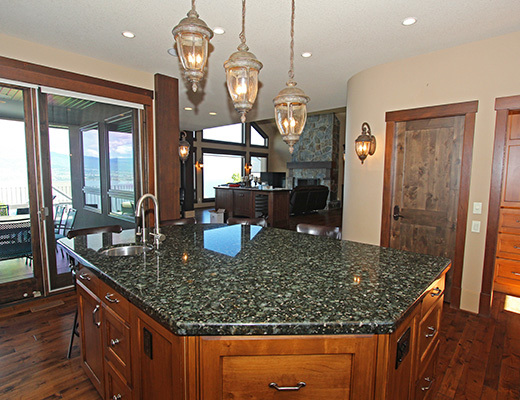 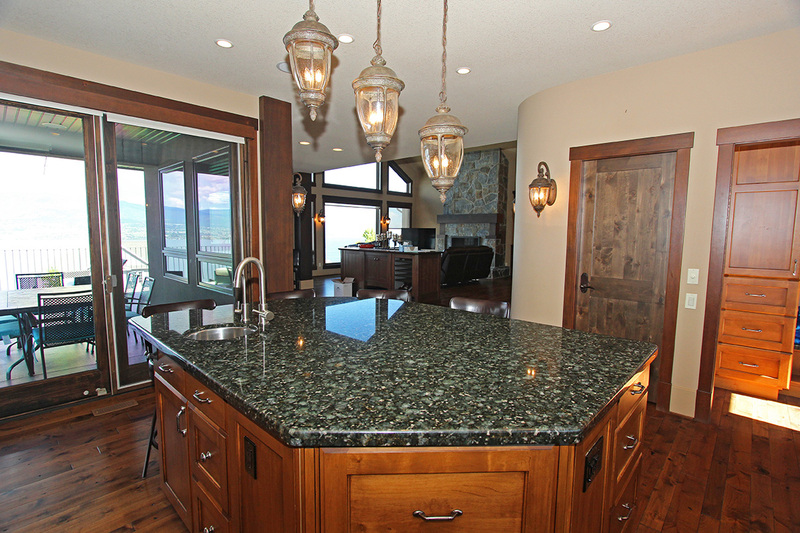 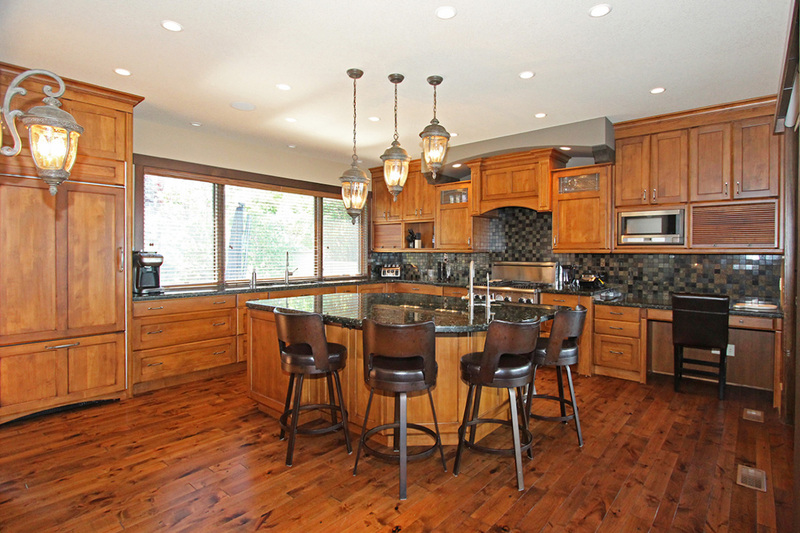 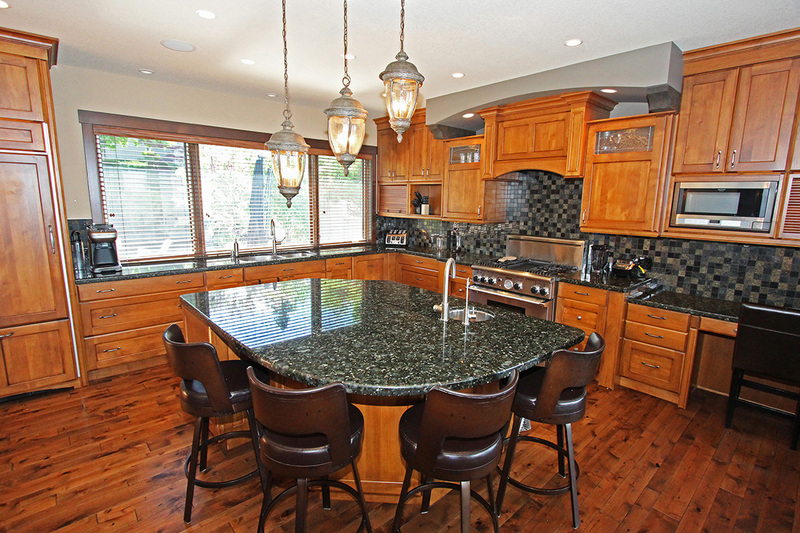 This open plan home offers a formal dining area and large granite kitchen island. 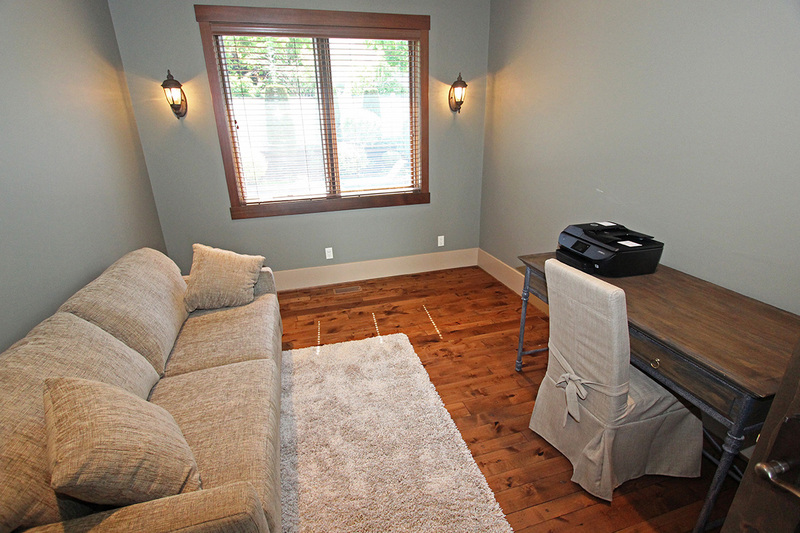 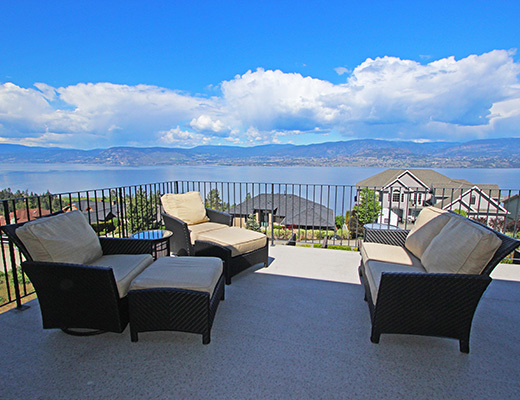 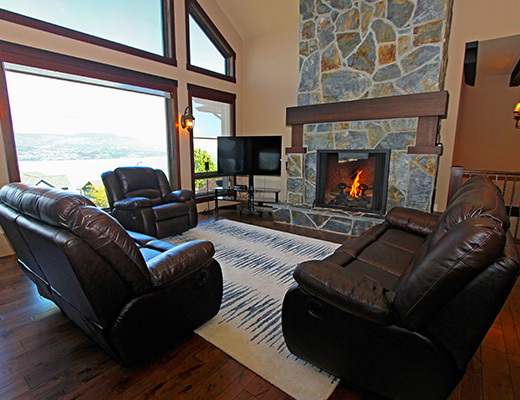 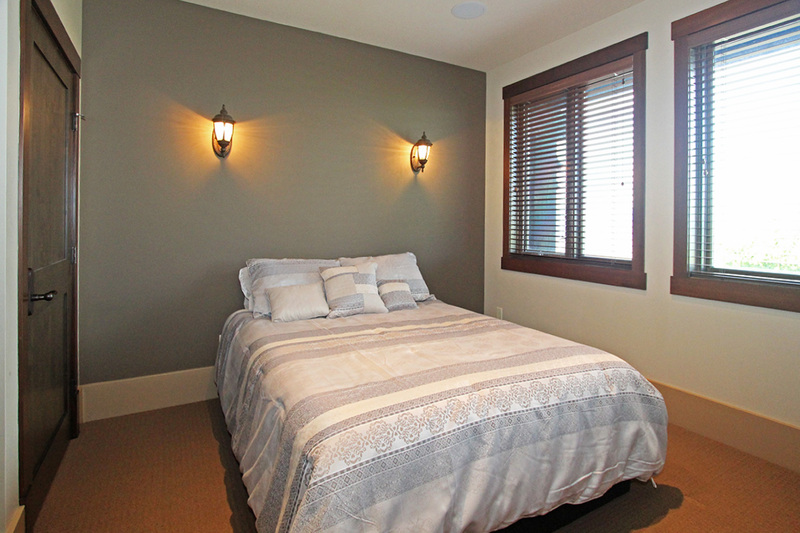 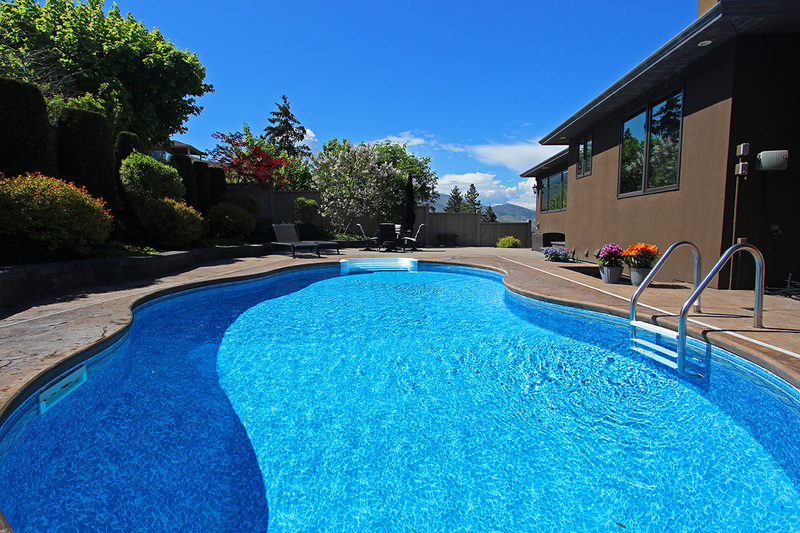 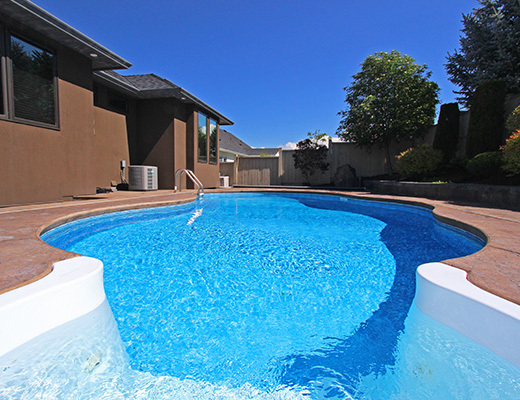 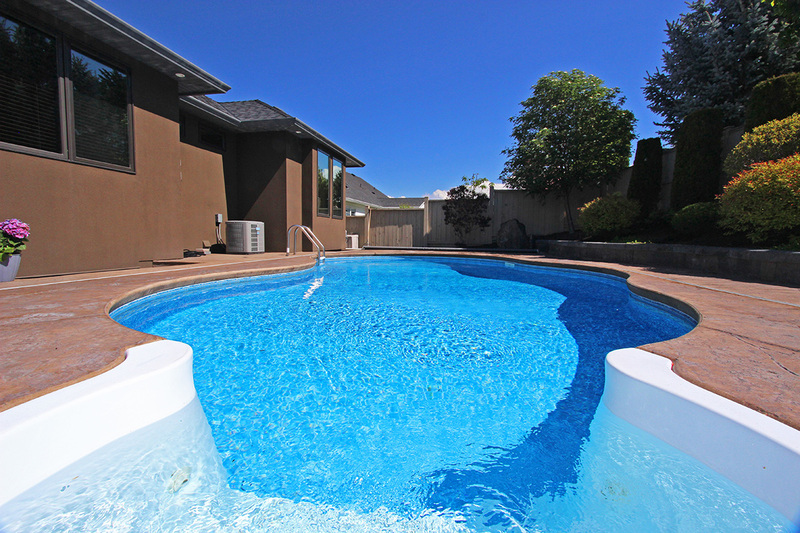 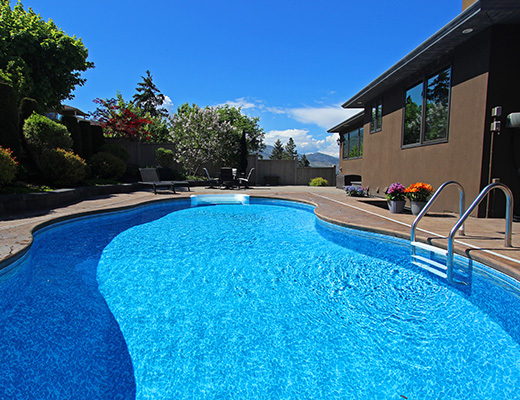 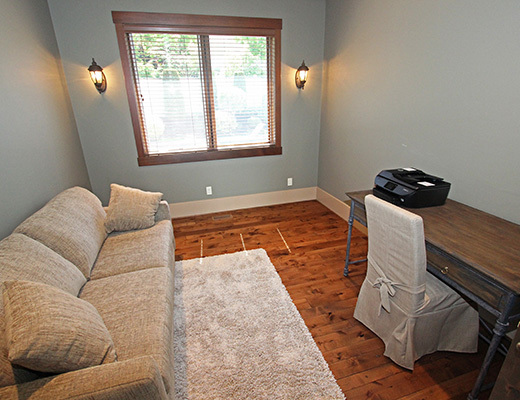 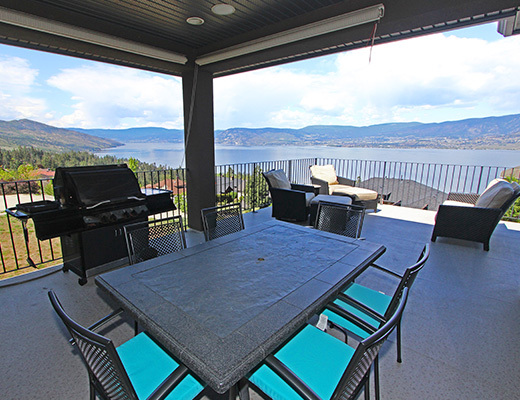 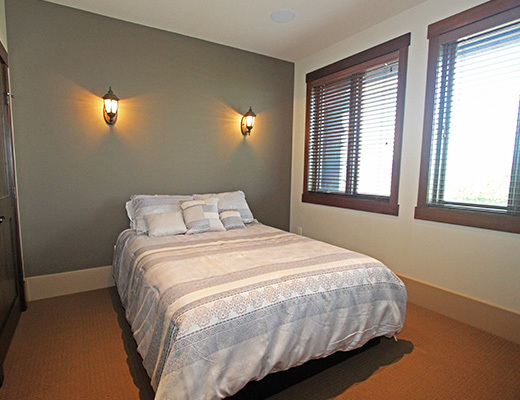 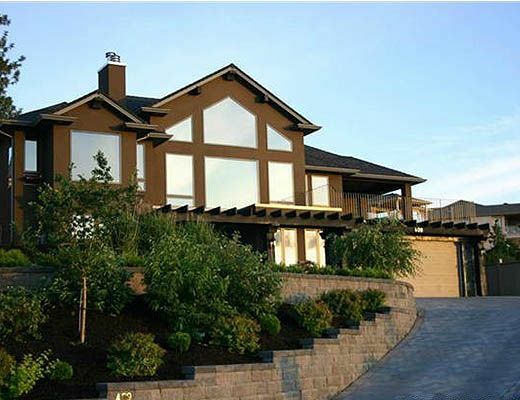 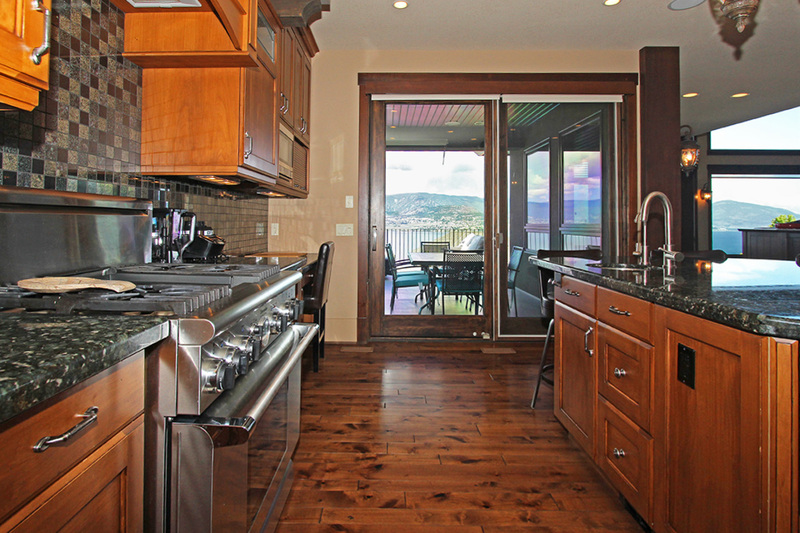 Five spacious, tastefully decorated bedrooms and 5 bathrooms makes this property a perfect choice for comfort in the Okanagan. 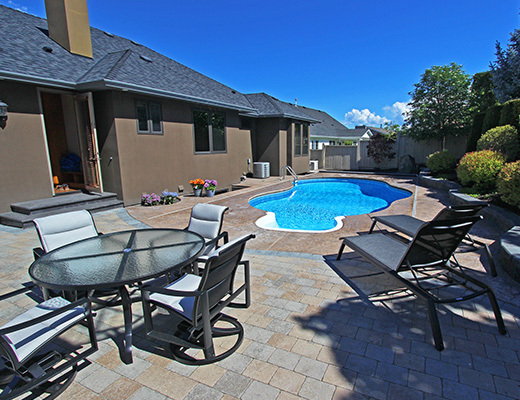 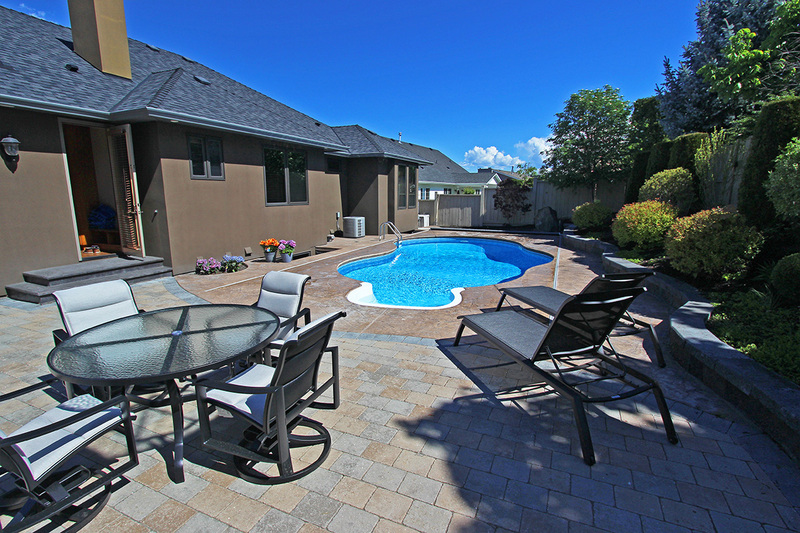 Walk out from the kitchen to the private pool area, complete with a hot tub and outdoor kitchen. 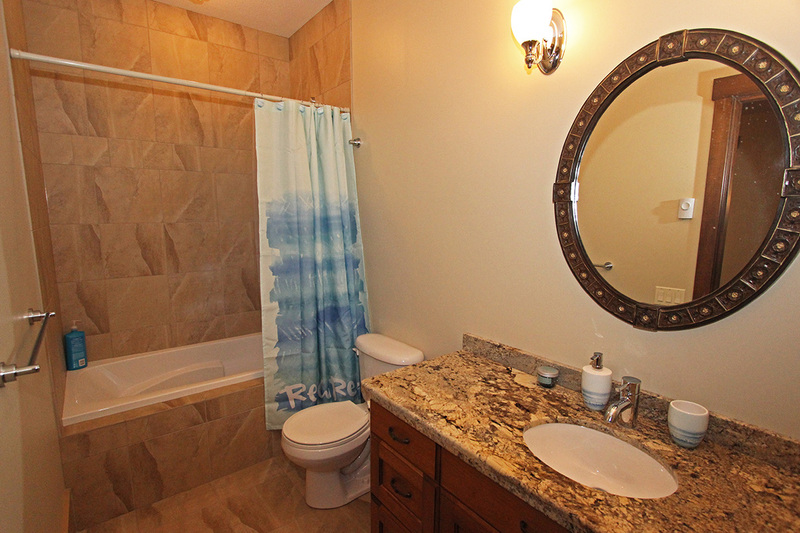 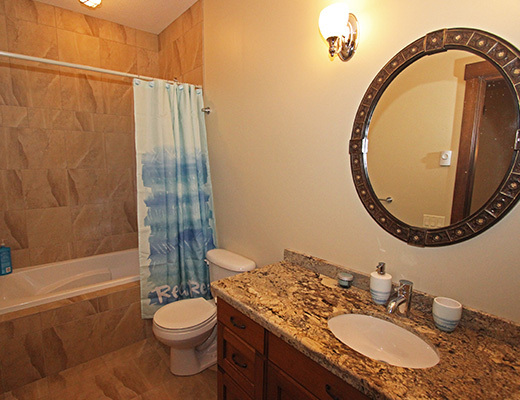 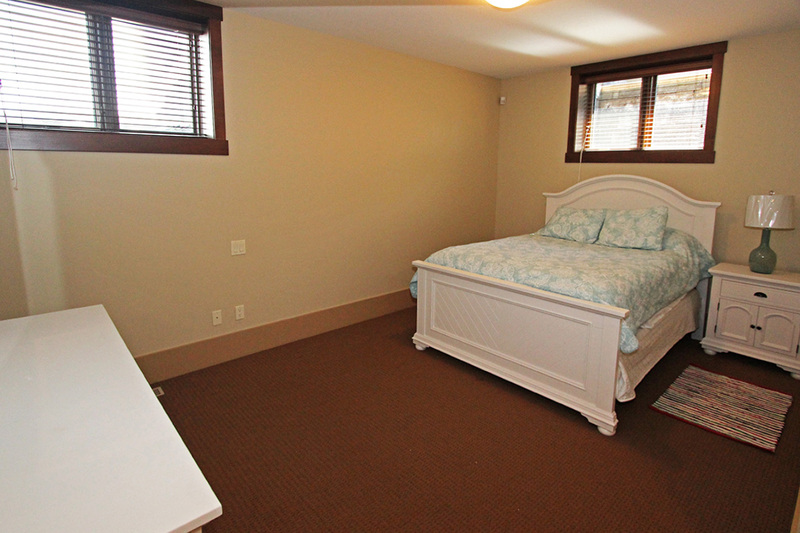 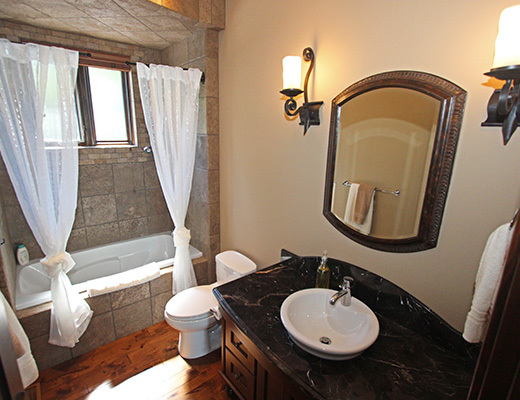 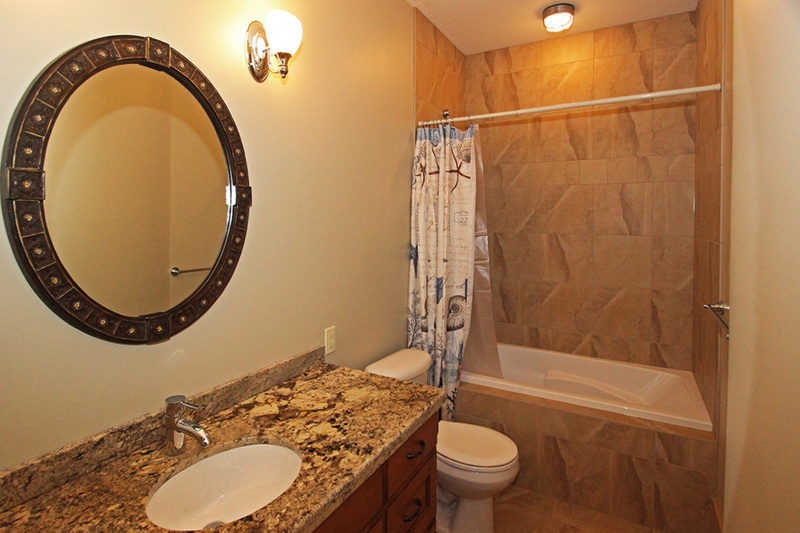 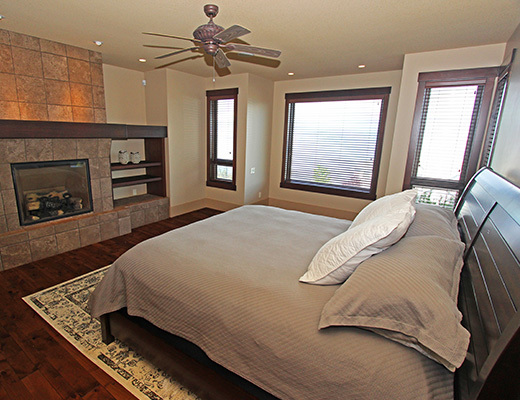 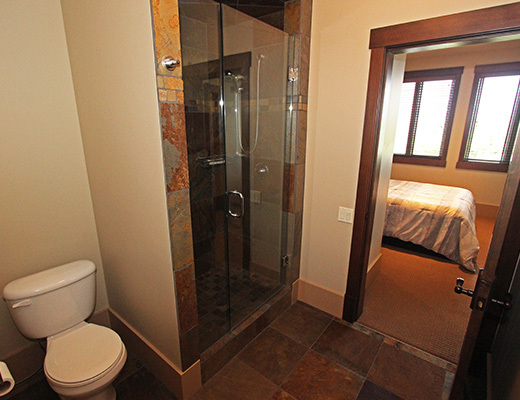 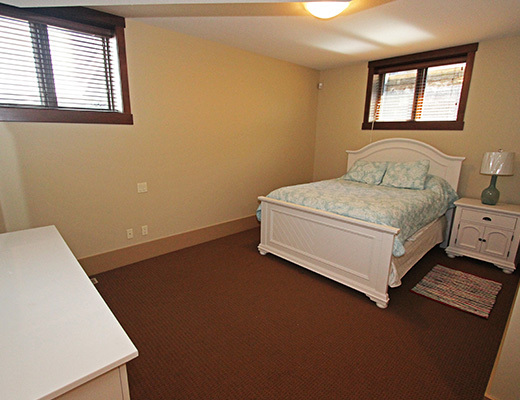 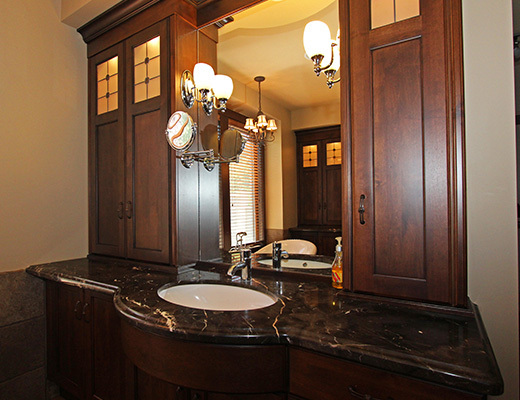 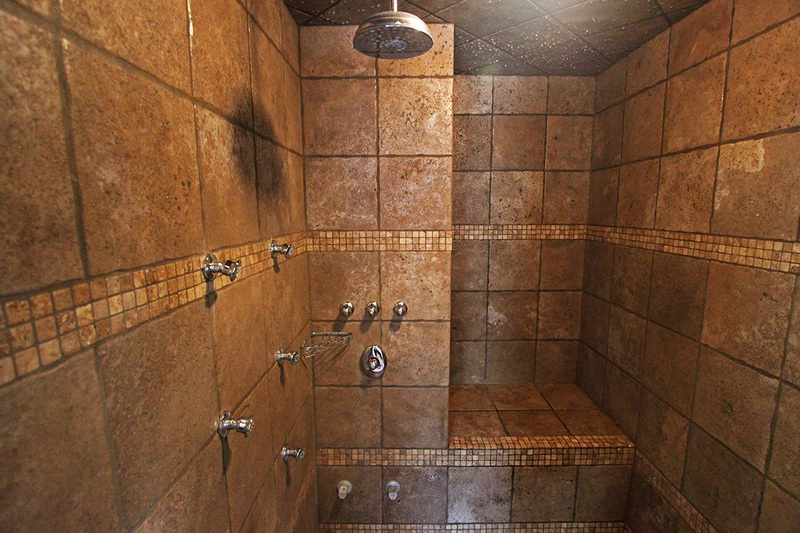 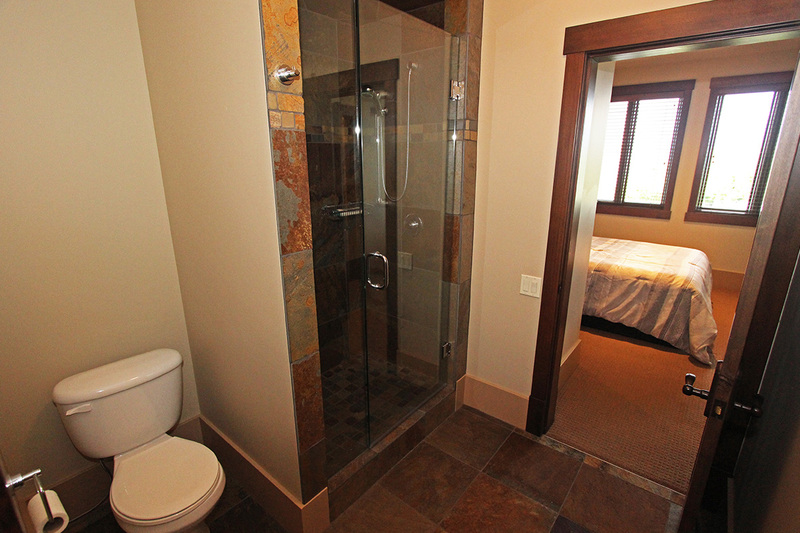 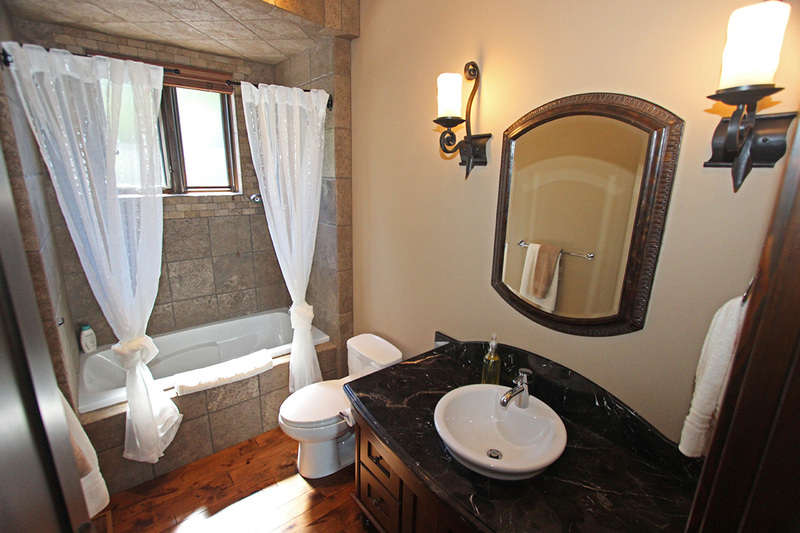 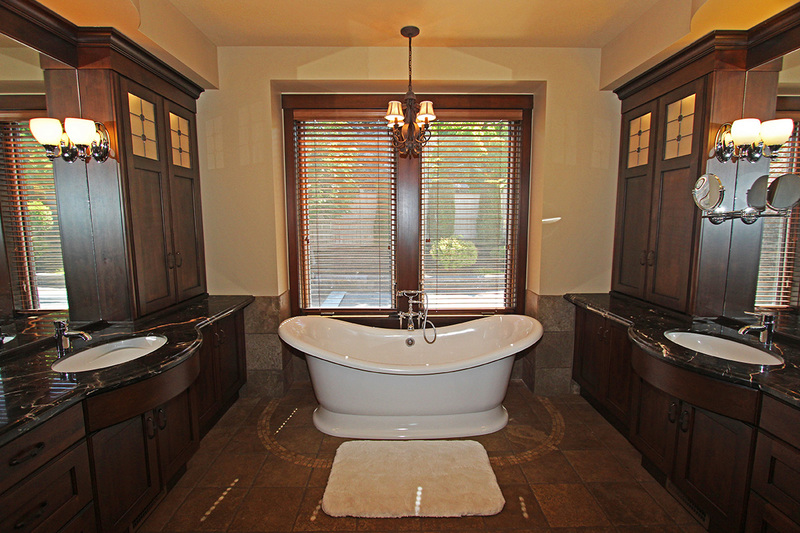 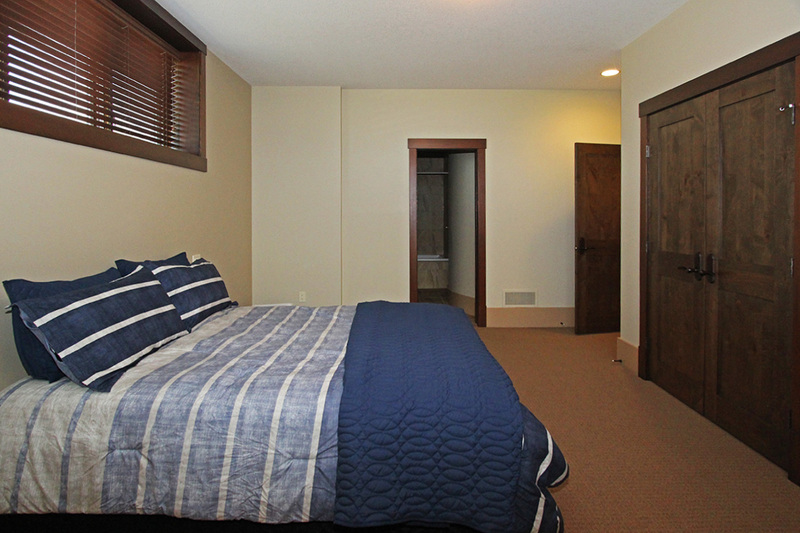 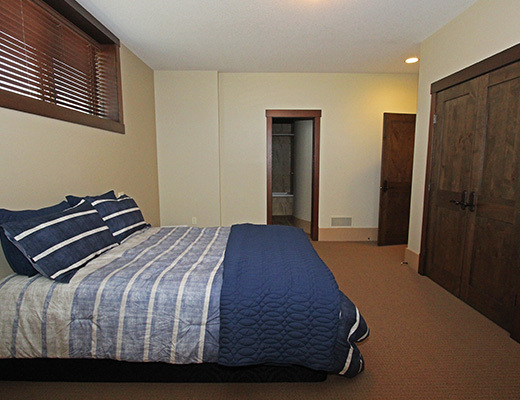 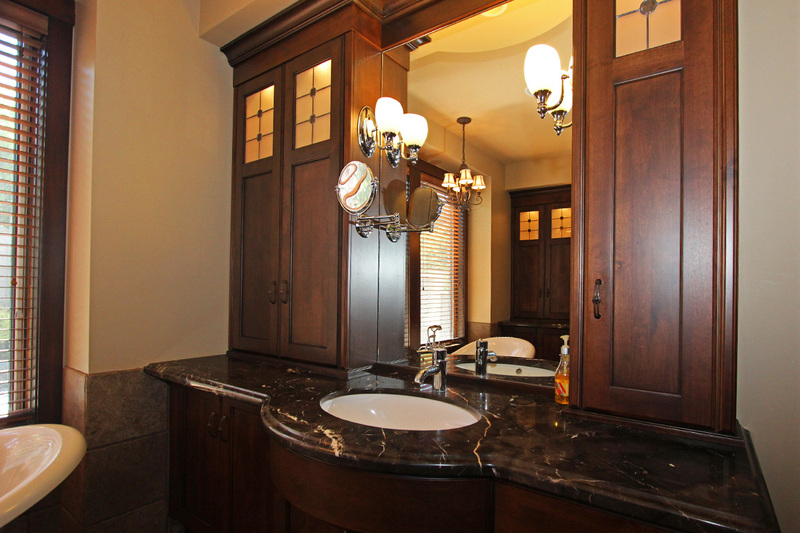 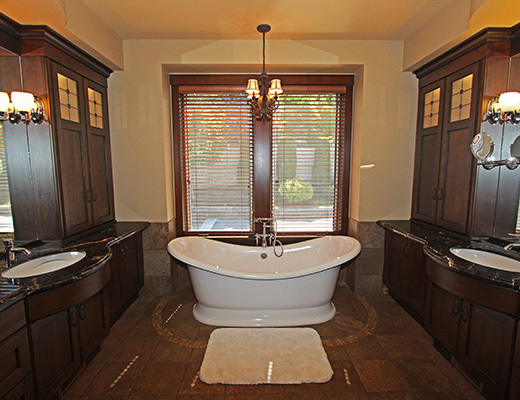 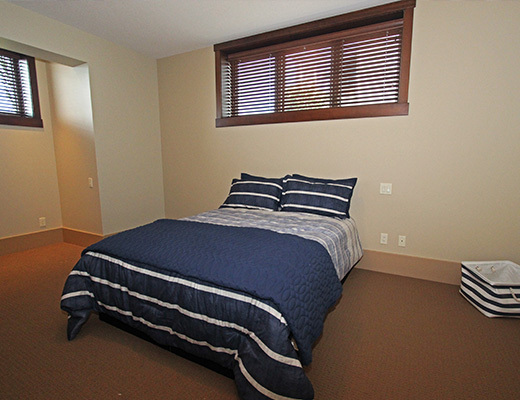 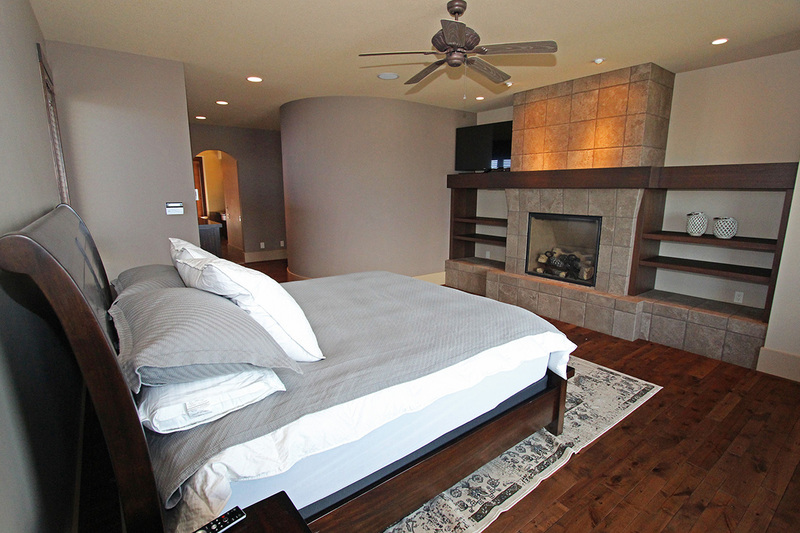 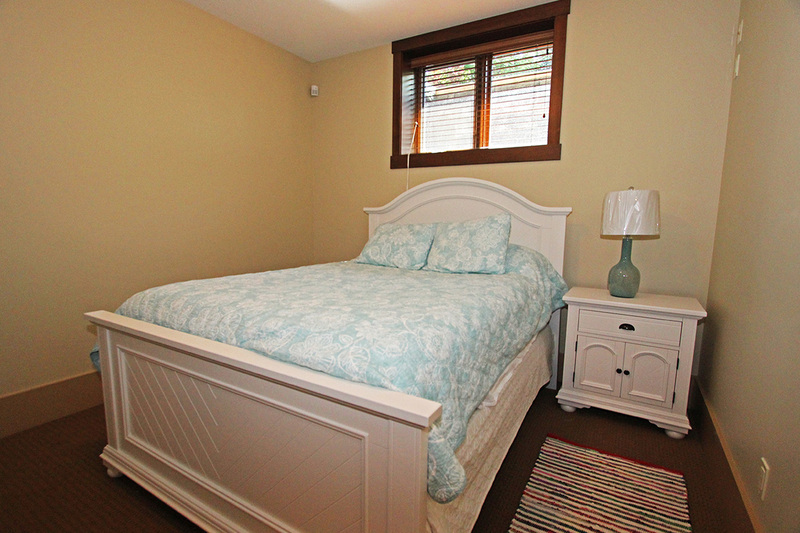 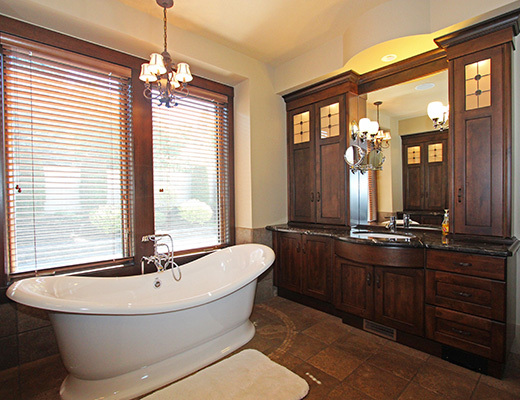 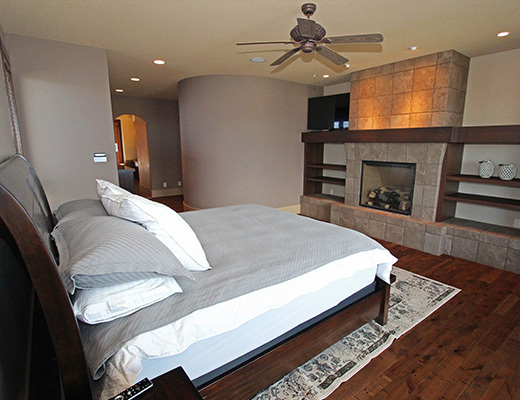 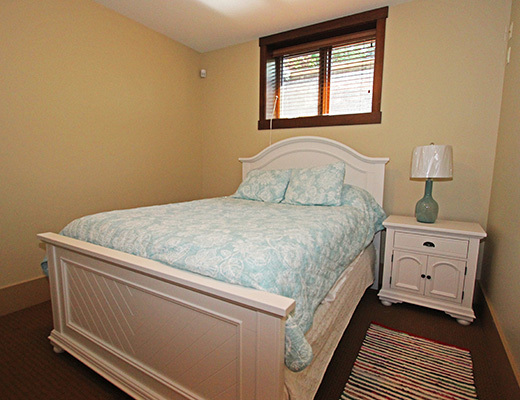 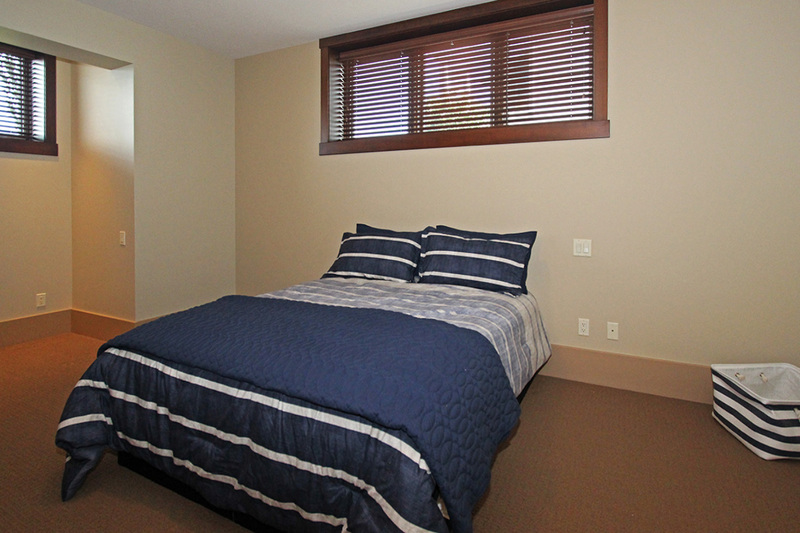 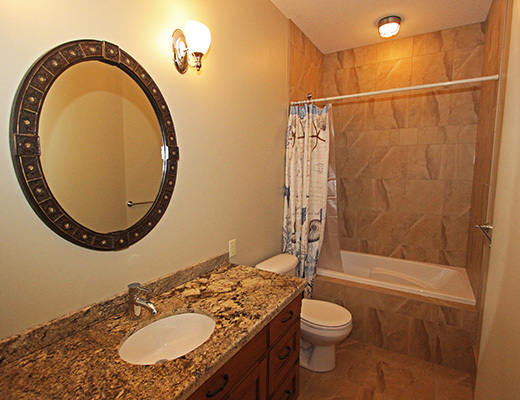 The main floor houses the oversize master king suite, complete with lakeview, soaker tub and a steam shower. 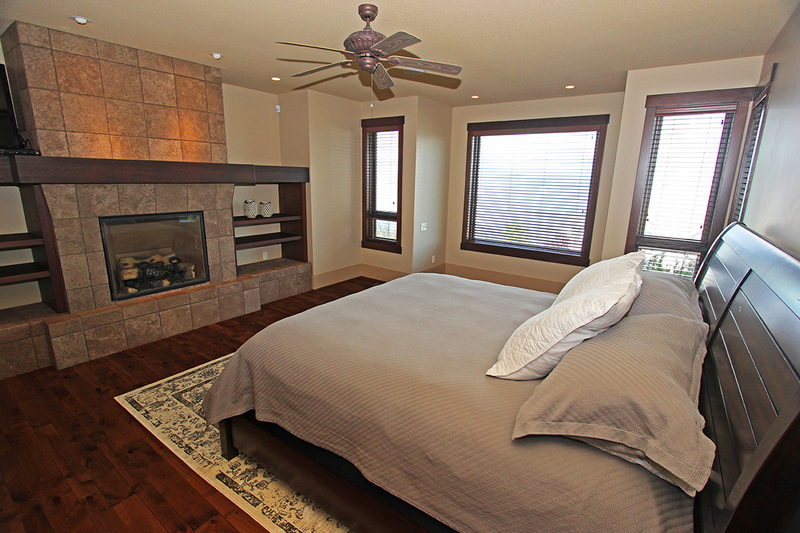 The lower level includes the remaining 4 bedrooms and 3 bathrooms. 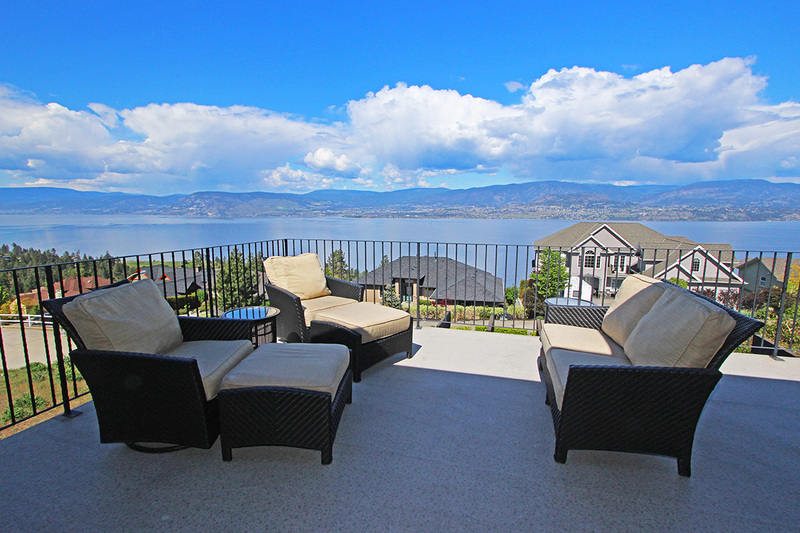 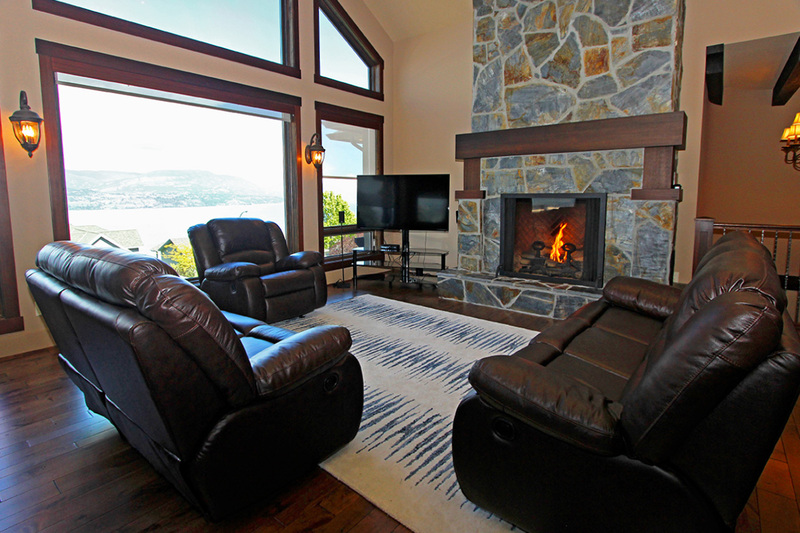 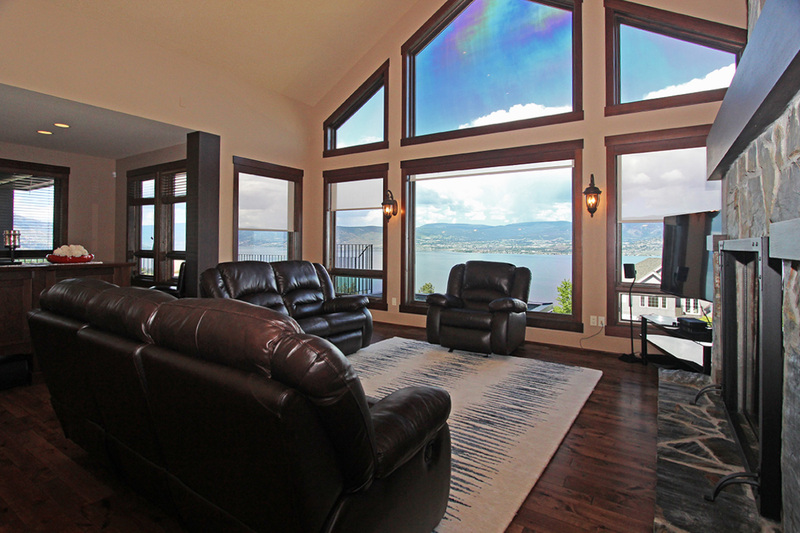 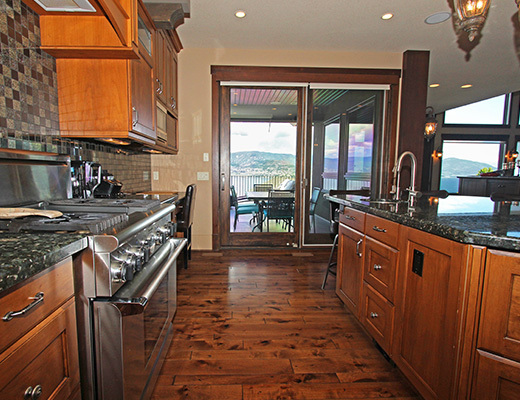 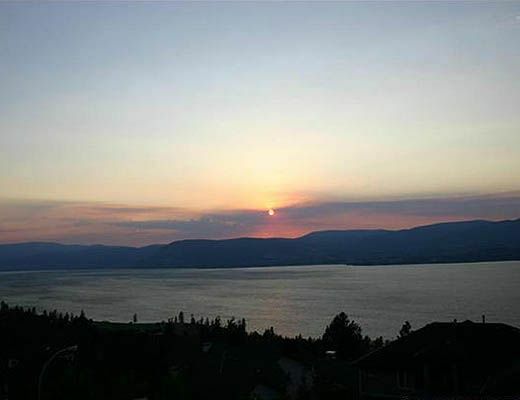 Watch incredible sunsets while sitting on the front deck enjoying your glass of premium Okanagan wine. 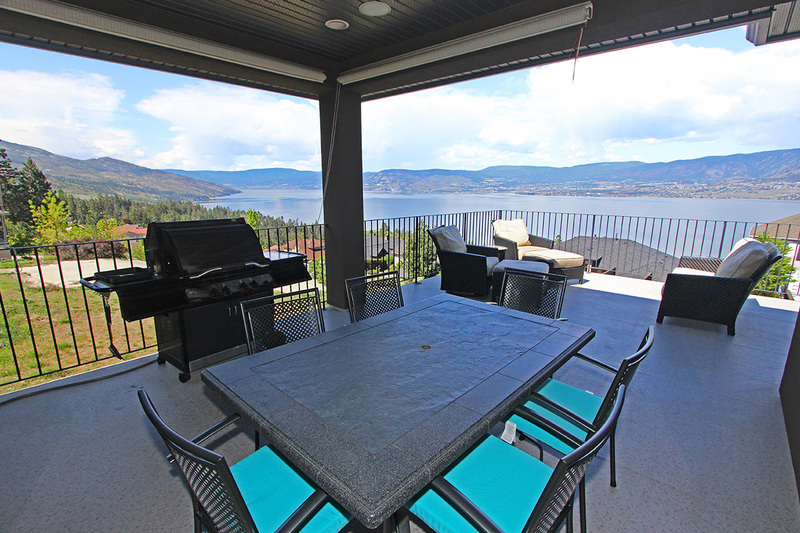 Okanagan Lake is accessible within a short 5 minute drive, as well as a number of wineries, boat launch, beaches and shopping. 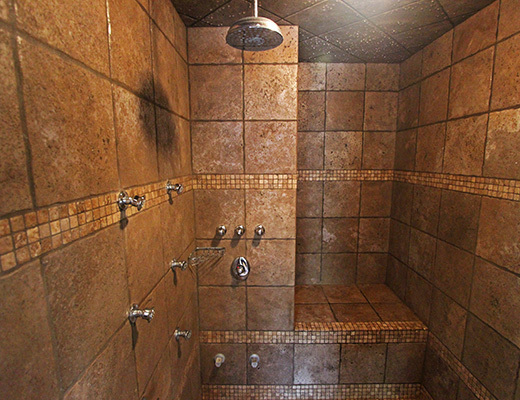 **This property requires a $3000 damage deposit.